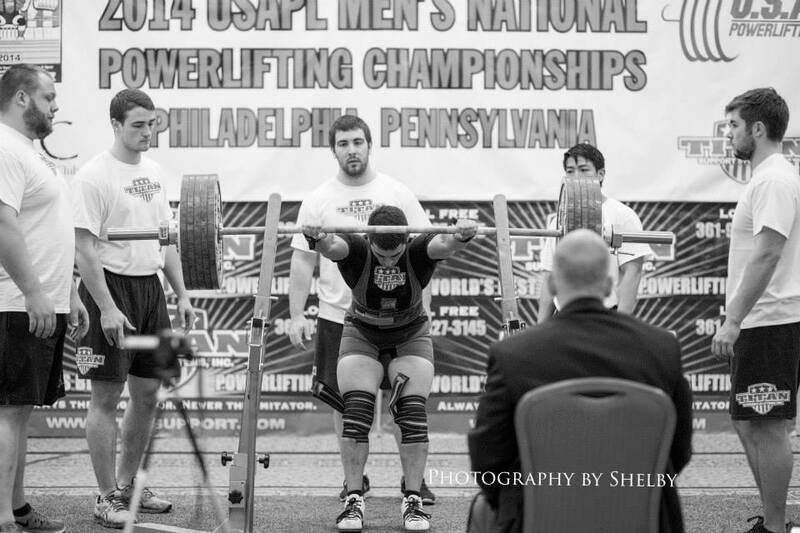 I was introduced to powerlifting by my cousin, Kyle Ricchio. 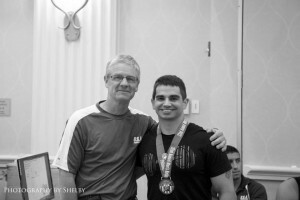 He was my hero and mentor in this sport, and I did everything I could to follow in his footsteps. I was introduced to the Horlick High School powerlifting head coach, Bruce Sullivan, and from then on, I was hooked on powerlifting. I wanted to learn anything, and everything about it. The first meet I ever competed in was a local high school meet held at Horlick High School. Weighing in around 120 pounds, I did a 265 squat, 155 bench, and a 325 deadlift, for a 745 total, and qualified for the High School State Championships. I competed consistently from 2001 through 2006, at the state and national level. From 2007-2010, my attention shifted to finishing my college degree in architecture at UWM, and getting started with my career at Christopher Kidd & Associates, Architects and Engineers. I was able to continue working out, but nothing close to the high intensity, competition level I was used to. Late in 2010, I got the urge to get back on the platform, and trained for the local Wisconsin State Open held in Milwaukee WI in January of 2011. From that point on, my training has been very consistent, both in equipped and raw. I am currently training with one of the best powerlifting coaches in the country, RG Luckow, and I can’t wait to see what the future holds.